In my clinic people come to see me for all kinds of reasons. One of the reasons people often see me is because they have high cholesterol. High cholesterol has been linked to heart disease and is seen as one of the main causes of preventable death in this country. This theory that high cholesterol actually causes heart disease by itself has many holes in it. However, the pharmaceutical companies would like you to believe that if you lower your cholesterol you will significantly reduce your risk of having a heart attack or a stroke. The evidence does not support this statement. Cholesterol is not an independent risk factor for heart disease. So what does that mean? It means that high cholesterol alone is not enough to cause heart disease. There are many other factors that must be present in order for heart disease to occur. The main risk factor is inflammation. This inflammation can be measured in a simple blood test. The tests you should request from your doctor are called hs-CRP and homocysteine. Both of these are inflammatory markers and they give a good indication of your risk factor for a future cardiovascular event or heart attack/stroke. The theory that high cholesterol alone causes heart disease is flawed. For example, there are large populations of people that have very high cholesterol and heart disease is almost nonexistent in their culture. The Eskimo tribes of the Arctic are great examples of this. Also, research shows that 50% of people that have heart attacks have cholesterol that is considered too high (>200 mg/dl). That means that the other 50% have cholesterol numbers that are within the normal ranges! With that said, cholesterol does increase your risk for heart disease in the presence of other risk factors like inflammation. It does not make sense to lower cholesterol alone and expect to be protected from heart disease. It does make sense, however, to work on those levels in conjunction with reducing your other risk factors. Today I will tell you of the best natural ways that you can lower your cholesterol. For a quick reference here are the current medical guidelines for cholesterol. In my opinion everything should start with diet. Study after study has confirmed that eating a low carbohydrate diet is much more effective in the short term and long term in managing cholesterol levels. It sounds counter intuitive that eating a diet that is higher in fat reduces cholesterol levels but the data is there. The mantra that eating fat raises cholesterol levels does not hold true. It is actually the sugar (carbohydrate) that causes cholesterol levels and triglyceride levels to sky rocket. I routinely put my patients on low carbohydrate diets to reduce cholesterol and have yet to see it fail. The only problem is that sometimes their cholesterol levels become too low! Low cholesterol is just as problematic as high cholesterol. This one might be a no-brainer, but it must be incorporated. 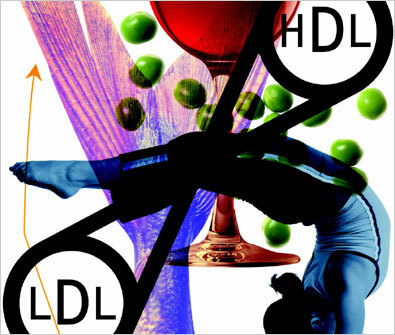 Exercise has many benefits, but specifically it is known to raise the HDLs and lower the LDLs. It also improves heart muscle function, mood, cognitive performance, bone strength and many other factors associated with overall wellness. I can’t stress exercise enough. Also known as phytosterols, these naturally occurring substances are found in high amounts in vegetable oils. They are mostly undigested and act by inhibiting your absorption of cholesterol in the following way – they prevent cholesterol from being emulsified in the gastrointestinal track. When fats, like cholesterol, are not emulsified the body cannot absorb them. Because plant sterols are not absorbed, they have very little, if any, side effect. They work wonders for people with high cholesterol. My advice would be not to purchase these over the counter. In speaking with some nutrition companies I have found that these are rather difficult to put into supplement form so buying them over the counter from a discount brand is unlikely to produce the results you are looking for. Purchase them from a doctor trained in functional medicine and who works with a reputable nutrition company. They may be slightly more expensive, but you get what you pay for. Here is a link to my website and the companies that I use. Niacin, or vitamin B3, is another great natural way to lower cholesterol numbers. It is found in red meat, chicken, turkey and beans among other things. It is extremely safe with the only side effect being a temporary flushing effect in the skin shortly after taking it. This can be avoided by purchasing a non-flush niacin. It has been shown to reduce LDL (bad) cholesterol and increase the HDL (good) cholesterol. Doses are different for everyone and can range from 500 to 5,000 mg per day taken one to two times per day. It has been shown to reduce heart attacks by 27% and stroke by 26%. Fish oil is great for a lot of things. While it does not directly impact total cholesterol levels, it does reduce triglyceride levels in the blood and raise the HDL level. Triglyceride is a measure fat in the blood. It usually has implications on total cholesterol levels. Fish oil is so effective it has been made into a drug by GlaxoSmithKline called Lovaza. It is ridiculously expensive at $175 for a one month supply. (Read my blog about it here.) The dose offered from Lovaza is also much too low at 1 gram per day. An effective dose is about 4-6 grams per day. You should also buy this through a reputable nutrition company as many cheap brands contain mercury, PCBs and other toxins. (Read my blog about that here.) A one month supply of a quality fish oil will probably cost between $25-$35 depending on how much you need to take. Much better than $175! Lowering cholesterol by itself is not a full proof plan for protection against heart disease. It must be part of a total approach because high cholesterol by itself is not dangerous. However, it is useful if you lower your other risk factors. My advice to my patients is not to rely solely on a pill if you want to reach your goal. You must change your diet as well. Low carb, as mentioned above, is the way to go. If you combine the best of these two approaches you should be able to hit your target cholesterol in no time.